The exhibition space at the South Street Gallery allows for two A4 size paper inserts. One is expected to describe the work – some kind of artist statement – and the other with pricing and contact information. I have decided to be guided on the statement by the Churchill exhibition staff, so about half of the words in the statement belong to them, this relinquishing of editorial control comes after the episode at the Nuffield where some of the work was required to be taken down. 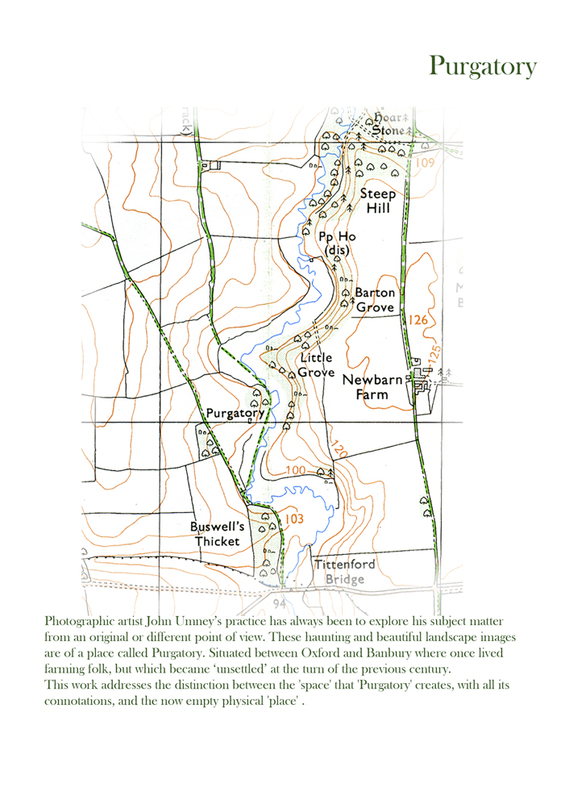 The staff had contacted me about the notion of Purgatory – not wanting it to be ‘morbid’ – and it is for that reason that I have included an excerpt from a OS pathfinder map to ‘situate’ it as a physical presence, though I do reflect on it’s psychological ‘space’. It fits very well John.